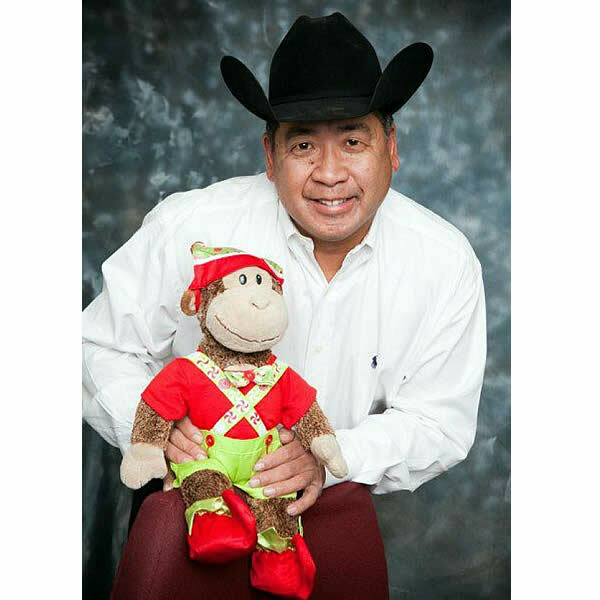 Tampa, FL – December 18, 2012 – The Florida Gold Coast Quarter Horse Show is pleased to welcome world class trail clinician Tim Kimura of Oak Point, TX, who will be designing the trail patterns and conducting clinics during the event. Scheduled for December 27-31, 2012 at the Florida State Fairgrounds’ Bob Thomas Equestrian Center in Tampa, FL, the Florida Gold Coast Quarter Horse Show features five full days of events including Hunters, Equitation, Reining, Western Pleasure, Trail Riding, Driving, Showmanship and Halter classes. This year, the show ends on the 31st to help exhibitors take advantage of the six shows needed to accumulate points before the end of the year for the American Quarter Horse Association (AQHA). Nicknamed the “Man of Trail,” Kimura has been a trail course designer for over 25 years and draws around 100 trail patterns each year for events across the globe. He believes in the 4 Ps of Trail: Preparation, Practice, Planning, and Performance. Kimura also believes riders should chase perfection and try to catch excellence along the way. The Trail classes at the Florida Gold Coast Horse Show will be held every other day, and Kimura will conduct clinics and warm-ups during the off days for the competitors. For more information about Tim Kimura, please visit http://www.facebook.com/TimKimuraManOfTrail?fref=ts. For more information about the Florida Gold Coast Quarter Horse Show, please visit http://fqha.net/. The schedule and stall reservation form are now available for download. For regular updates about the competition, please visit us on Facebook at http://www.facebook.com/pages/Florida-Gold-Coast-Quarter-Horse-Circuit/179375865501193. EVENT: Florida Gold Coast Quarter Horse Show Circuit: Schedule and stall reservation forms available online at http://fqha.net/. WHAT: A week-long quarter horse show features five full days of events including hunters, equitation, AQHA reining, western pleasure, trail riding, driving, showmanship and halter classes, helping riders accumulate points before the end of the year for the American Quarter Horse Association (AQHA). Orient Rd. Entrance Gate: Traveling north on I-75, take Exit #260 (B) and merge LEFT onto DR MARTIN LUTHER KING JR BLVD (aka SR-574 West). Traveling south on I-75, take Exit #260 and merge RIGHT onto DR MARTIN LUTHER KING JR BLVD. Go west for 2.5 miles and pass the light at U.S. Hwy. 301. Keep proceeding on MLK, Jr. Blvd. to the next light which is ORIENT RD. Make a right at Orient Road. There will be a sign for the Fairgrounds entrance on the right-hand side. Check in at the Security Guard gate for entry.